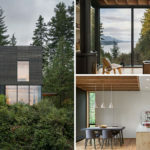 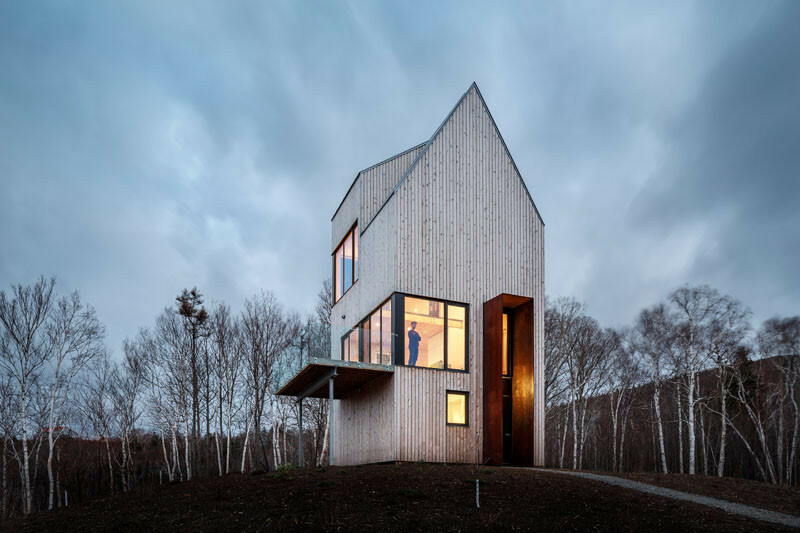 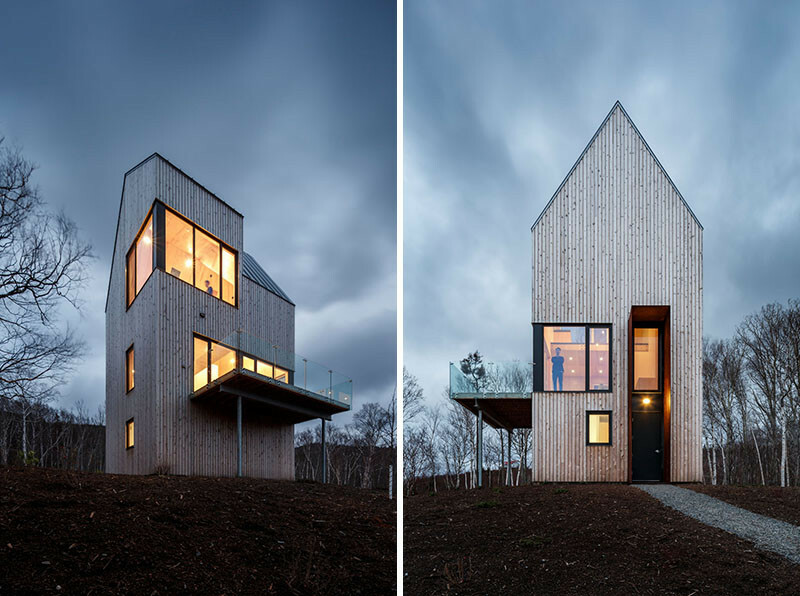 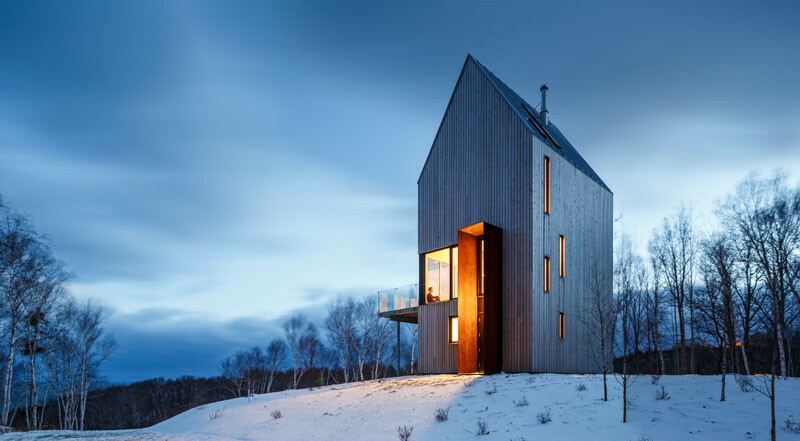 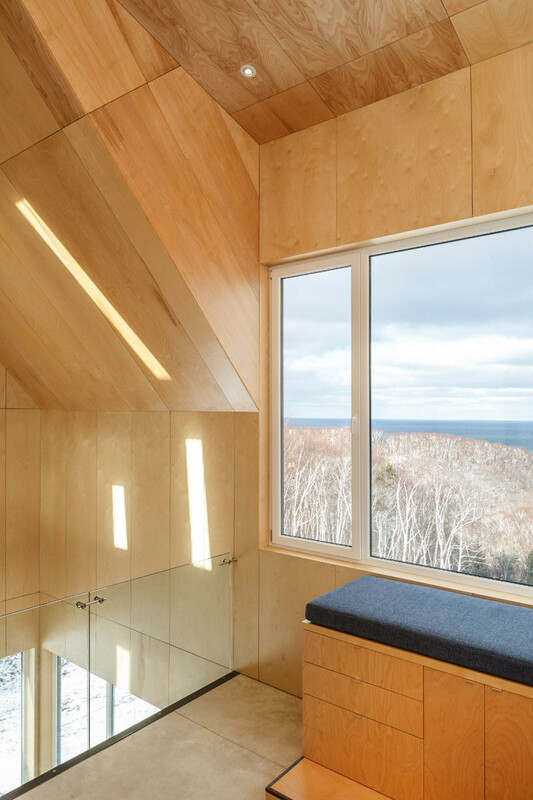 A family is enjoying this new modern cabin, located along the Cape Breton coastline in Nova Scotia, Canada, thanks to Design Base 8, in collaboration with Halifax-based Omar Gandhi Architect. 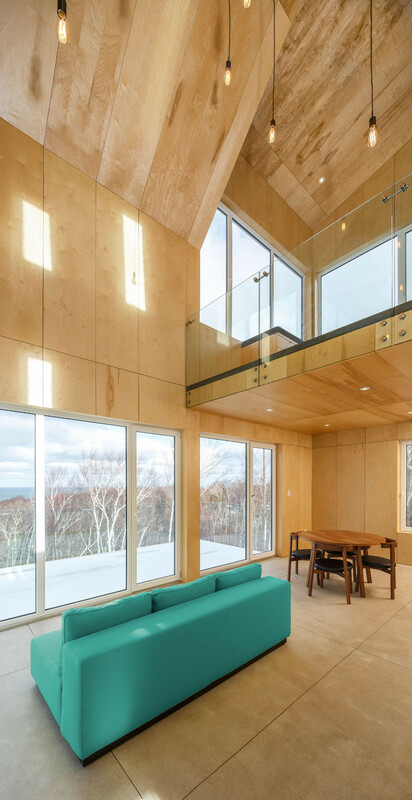 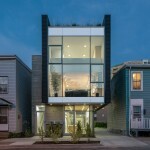 After working closely with the client through numerous design iterations, Design Base 8 reached out to Omar Gandhi Architect to collaborate on the final design, detailing, and construction process. 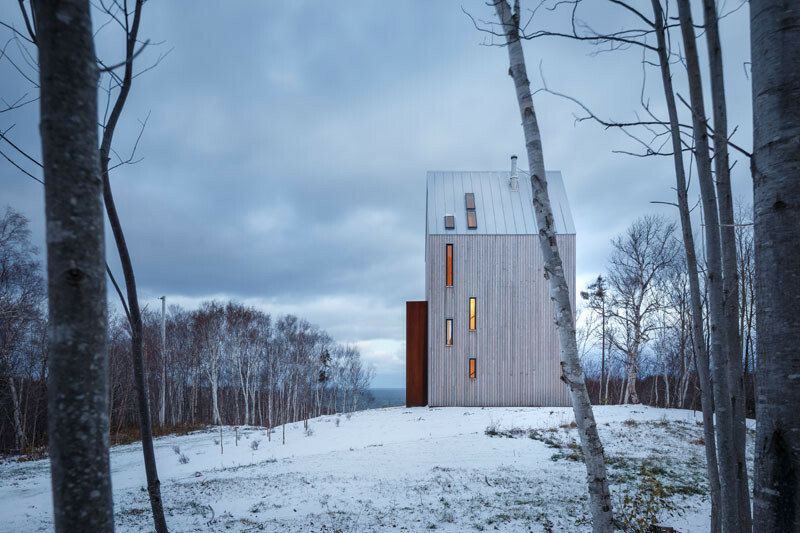 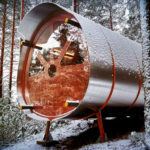 The cabin is set on a 46 acre parcel of land found on the rugged wooded coastline of rural Cape Breton. 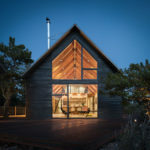 Traditional, local wood board cladding covers the cabin. 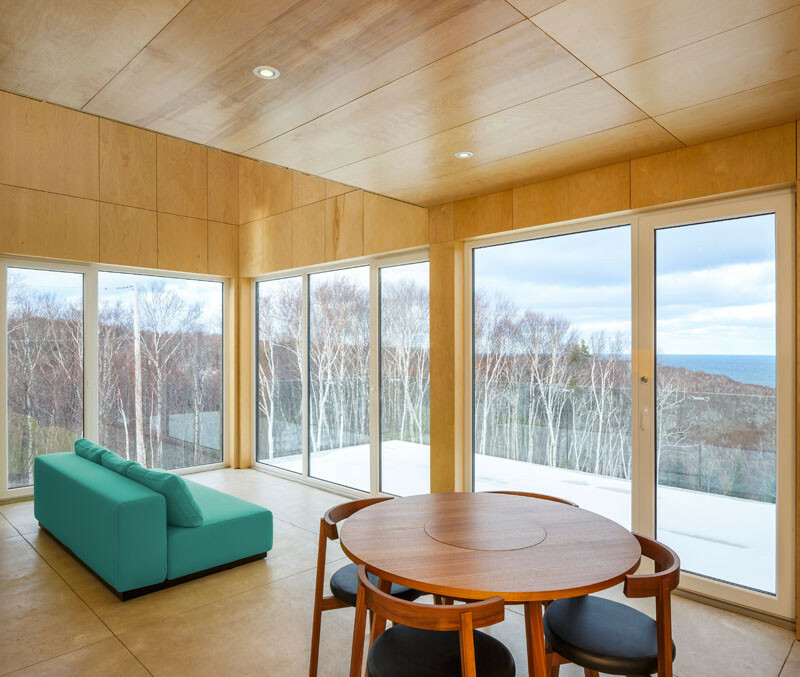 Inside, there are spectacular views from the large windows and balcony. 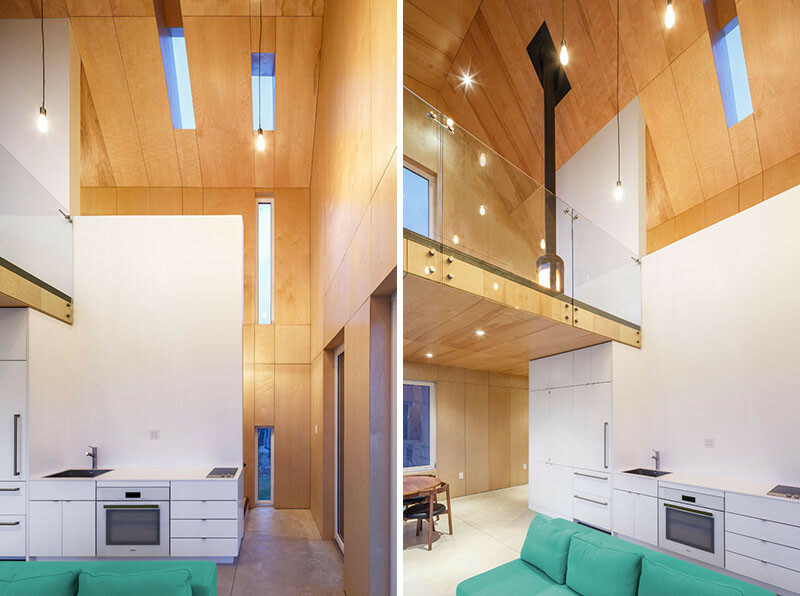 The double height kitchen and dining room make the cabin feel large and airy. 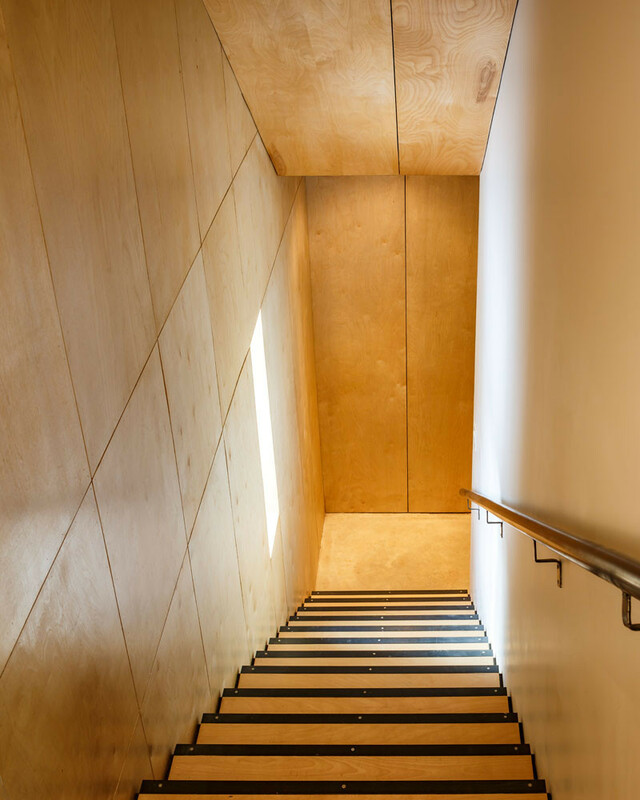 Stairs connecting the floors lead to the entry and bedrooms on the ground floor, and the living space on the third floor. 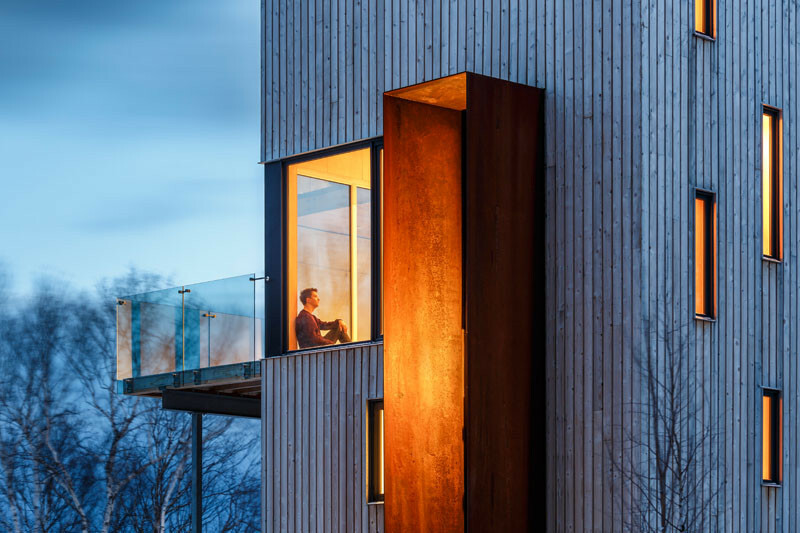 On the upper level, the elevated cabin allows for a long, wide view of the property including the head of the gorge leading towards the ocean.